You don't have to be a professional artist to make sweet crafty gifts out of the humble Sharpie pen. 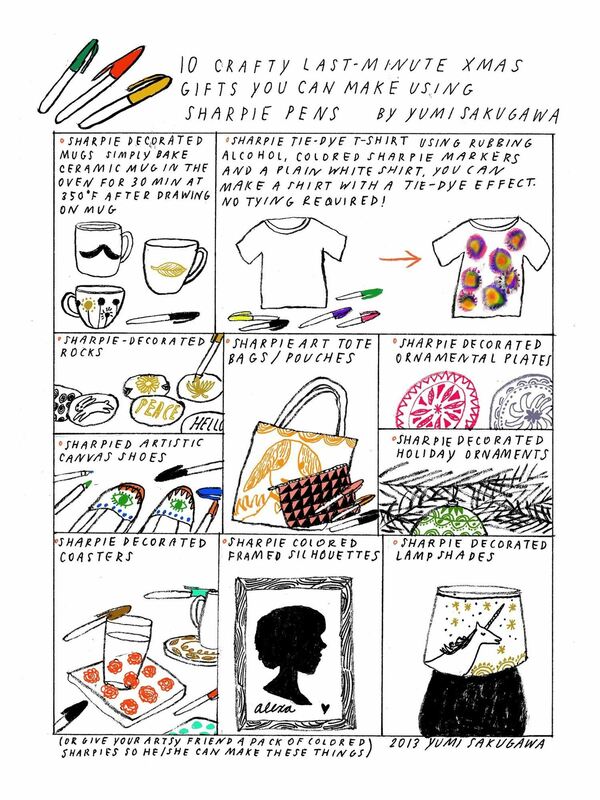 On a budget, you can easily make personalized yet visually pleasing gifts for your favorite people out of Sharpies and a blank canvas in the form of ceramic mugs, T-shirt, tote bags, canvas shoes, ornament balls, lampshades, and more. If you are intimidated by the prospect of drawing something, you can make cool designs out of simple geometric shapes and symbols on whatever you are drawing. You can also spice up your designs by using different pen thicknesses, colors and textures, like metallic Sharpie markers.